It's been far too long (just over 6 months!) since I last entered into The Great Bottle vs. Can Debate. 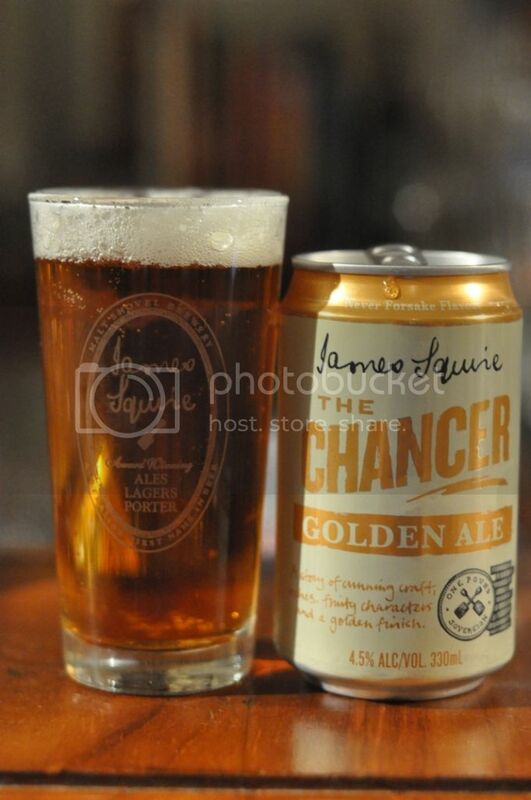 This review only came about after I flew interstate recently as James Squire The Chancer is only canned for QANTAS flights and (to my knowledge) can't be purchased in can form anywhere else. Because our flight was delayed so long we got take home beers from the flight attendants, which was a really nice bonus. Not since the Niksicko bottle vs can debate have we seen two beers pour as similarly from both vessels as James Squire The Chancer just has. Colour, carbonation levels and head size all seem identical. The thing that changes is the head colour with the can's a brilliant white and the bottle's slightly off-white. On the nose again there are only very subtle differences. The aroma is basically just a slightly lower key version of their IPA nose. Plenty of fruit in both with some crisp hops on both as well. The bottle version maybe smells slightly sweeter but again they are pretty to close to identical. Again when it comes to taste these beers are incredibly similar. The bottled version had a little more malt presence than the can, which had significantly more hop character. The hops have citrussy qualities and the beer has a light taste of tropical fruits and caramel malts. The bottle has a bit of a sour yeast flavour as it warms, but it's not enough to put me off it may do to others though. The carbonation in both beers is good and I would be happy to drink either again. 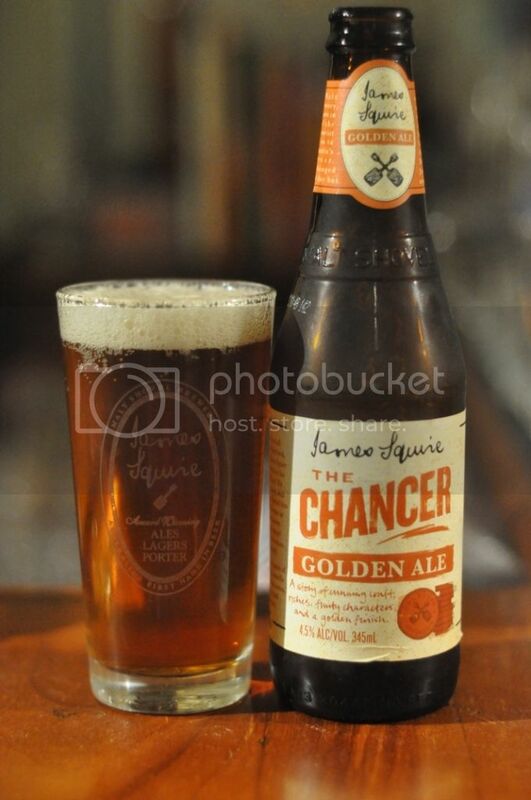 James Squire's The Chancer provided probably the most debate of any beer in this segment so far. Unlike previous installments, where the can won convincingly, this battle was alot tighter. In the end I'm going to have to just award the victory again to the can. It was just that little bit cleaner and had a bit more bite to it than the bottle did. The take home message is that James Squire is back! Both vessels were very drinkable and I would recommend this beer for a nice hot day.